But your recent behavior has us a little concerned. Just last week, you began another one of your fits — well, it’s more like eight now, to be exact. Mr. Earthquake, is it attention you want? Because right now, you’ve got command of center stage — everyone’s been talking about you, Tweeting about you, Facebook-ing about you. You’ve got the out-of-state and international students scared out of their minds and you’ve even forced the campus to reevaluate the seismic capability of our buildings (thanks for all the free stuff though). What exactly is it that’s not pleasing you? Just this morning, you unleashed yet another one. What are we doing wrong here? Are the Berkeley hippies not making enough sacrifices to the Earthquake god? Is the Cal football team not winning enough? Do you want even more Nobel prizes out of us? 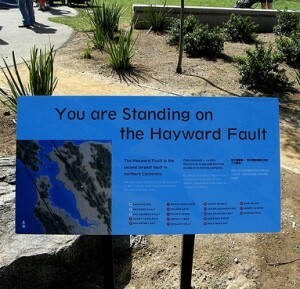 Our campus respects your home Mr. Earthquake — we’re environmentally friendly, vegan, Earth-loving kids. We’ve tried to adapt to your irritability! Perhaps we misunderstand you, Mr. Earthquake. We know that many people fear you — specifically the 6.7 magnitude version of you — and that folks find your flare-ups to be downright worrisome. But are you trying to tell us something here? Is this simply your way of signaling the end of the world to us? If that’s the case, worry not, good sir. We have plenty of help on that front; consider your job done. And with that said, we ask, politely and sincerely, with the upmost respect in our hearts, that you stop this nonsense. Thank you for listening, Mr. Earthquake.